The Afinia H+1 is the perfect solution for all levels; from hobbyists, educators to engineers. 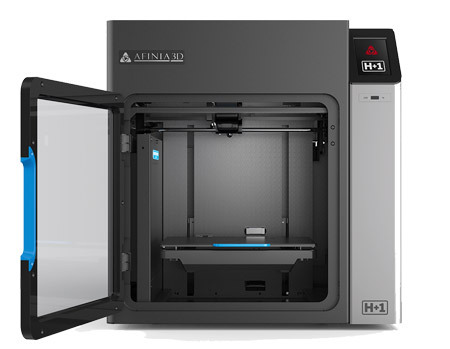 The Afinia H+1 3D printer combines a large build volume with consistency of performance. Material-specific printheads are included, ensuring optimal print quality and compatibility across a wide range of filament types. The Afinia H+1 is shipped fully assembled, ready to use, and with all the materials you’ll need*, so you can start printing in minutes. Just install the software (Windows 7 or higher (32/64 bit) and MAC OSX 10.7+, iOS) and wirelessly (or via USB) transfer your print.